A $250,000 goal for the 1963 Seafair fund-raising program was set today by Walter A. Van Camp, managing director of Greater Seattle, Inc., for the Seafair Commodores, 60 - man volunteer group. The drive will open March 15 and continue through April. 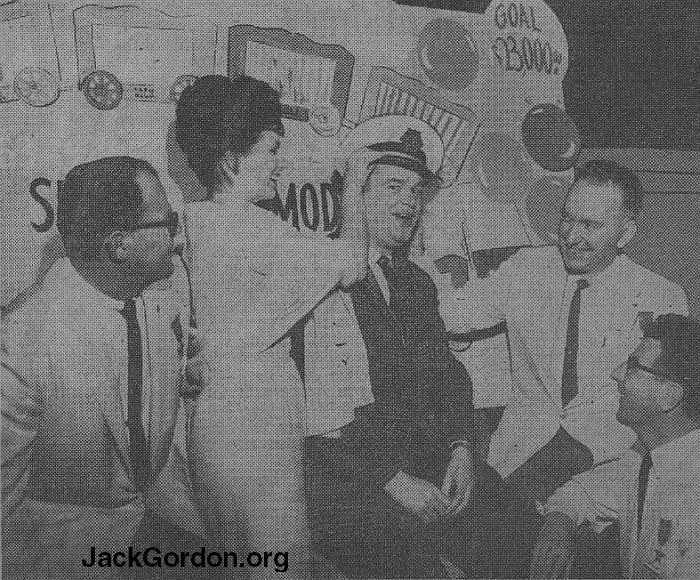 In a surprise ceremony at breakfast, Jack Gordon, public-relations director for Greater Seattle, was made an honorary Commodore and presented with a gold- trimmed Commodore's hat by Seafair Queen Gail Reid. Queen Gail, a University of Washington co-ed majoring in anthropology, had a 3.87 grade - point average for the winter quarter, Van Camp told the applauding Commodores. "We will seek to sell $12 memberships to at least 5,000 new families in the Greater Seattle area," Van Camp said. "That will provide us with $60,000 of our total goal." The balance of the funds will be sought through renewed memberships from the 20,000 present firm and individual members of Greater Seattle. Firm memberships sell for $100 each. The $250,000 will be sought to finance the 14th Seafair August 2 to 11, underwrite part of the cost of the hydroplane race on Lake Washington August 11 and to publicize Seattle nationally as a year-around tourist attraction, Van Camp said. Last year's Seafair was "highly successful despite almost universal preoccupation with the World's Fair," he said. Van Camp said Greater Seattle will "cooperate fully" in the staging of entertainment events for the new Seattle Center. Seafair's slogan will be "Ton o' Fun" with a stuffed toy elephant symbolizing the variety of attractions offered members of Greater Seattle. "In 1962 we offered our members a total discount on tickets of $326.18," Van Camp said. 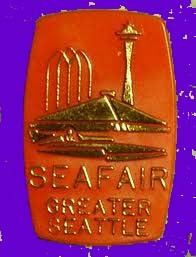 The 1963 Seafair offer will include new attractions including opera, ballet, a world-affairs lecture series and musicals.